We are excited to welcome back Collins Aerospace as a Leader in Technology Sponsor! They have been a tremendous supporter since 2013. 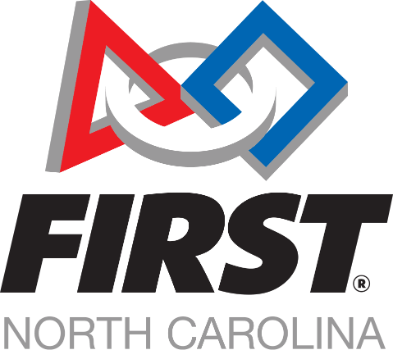 Collins Aerospace not only sponsors FIRSTNC and our many events, they also provide mentors and financial support to numerous FIRSTteams across the state. Not familiar with the name? You may recognize this instead - UTC Aerospace Systems. UTC Aerospace Systems and Rockwell Collins recently combined to become Collins Aerospace. As they state on their website, "Together, we are redefining aerospace." Did you know that Collins Aerospace is a FIRSTStrategic Partner? Their engagement extends all the way to the top with Kelly Ortberg, CEO of Collins Aerospace, serving as the Co-Chair of the national FIRSTBoard of Directors. Here in North Carolina, Kevin Gordon, Sr. Director for Advanced Technology, serves as the Chair-Elect for the FIRSTNC Board of Directors. Amazing leadership to guide a strong partnership! Collins Aerospace states, " The anchor of our K-12 education outreach programming is our partnership with FIRST. Our partnership includes team and tournament sponsorships, teacher training and rewards, and employee and retiree involvement. Our educational initiatives offer students of all ages the opportunity to take part in experiences designed to go beyond textbooks and place learning in their hands." A career at Collins Aerospace is possible for all FIRSTalumini. Check out some of the opportunities here.